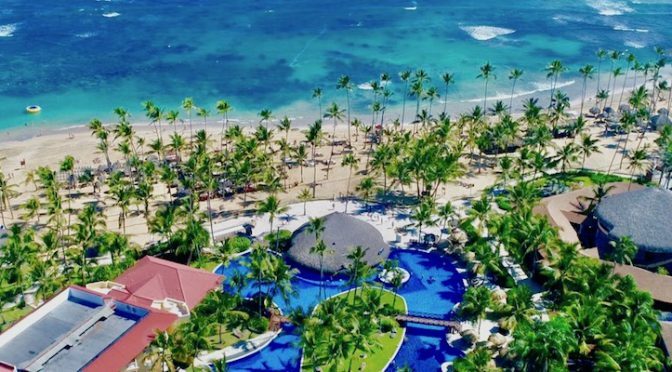 Perfectly located on the magnificent east coast of the Dominican Republic, the natural beauty of the island and nearby coral reef nurtures an incredible number of flora and fauna. Every detail has been selected for your complete pleasure and total relaxation. 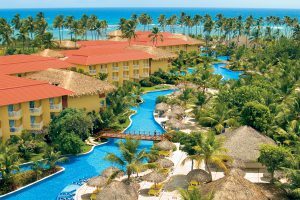 Arrayed on a stunning white sand Atlantic Ocean beach 60 km (38 miles) north of Punta Cana airport, this northeast-coast family resort includes a children’s club and an adult-free teens’ area. All accommodations are luxuriously spacious, airy and bright. Guestrooms feature balconies or patios include ceiling fans plus air conditioning, TVs with U.S./European channels, and refrigerators with soft drinks, water, juices, and beer. Family, children’s, and toddlers’ pools, water-sports gear, 7 a la carte gourmet restaurants, 24-hour room service, day/night activities, and a disco are among the amazing array of included amenities. You won’t have to think about anything except fully enjoying yourself at this up- scale resort! Book Your Stay At The Ultra Luxury Punta Cana Resort Now! Teen Club (ages 13 – 17) and SPORTS AREA Feature: Daily organized teens entertainment, board games, pool billiard, ping pong, foosball tables, TVs and video games, and much more! Enjoy gourmet dining at this elegant and exquisite French restaurant. la carte dinner: 7pm – 10:30pm; Dress code: Casual Elegance – Long pants and short sleeved shirt with collar required for men, ladies are required to wear skirts, dresses or pants suit. No flip flops allowed. Adults only (18 years and older) / Air-conditioned.